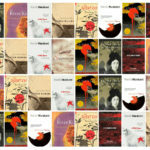 This series tends to look back at Japanese literature that is already available in translation but seeing as this is the first article of the new year, I thought I’d take a look at the releases in store for us over the next 12 months. This is far from an exhaustive list but just highlights some of the books I’m personally looking forward to diving into. 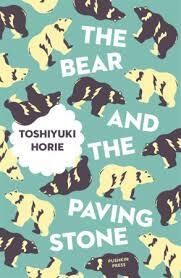 Pushkin Press are continuing their Japanese novellas series with The Bear and the Paving Stone by Toshiyuki Horie. The title story tells of a Japanese man traveling in France with a friend when memories of his past begin to assail him. It won the Akutagawa Prize in 2001. Horie has also won the Mishima Yukio, Kawabata Yasunari, Tanizaki Junichiro Prizes and has twice received the Yomiuri Prize for Literature. Due in January, two other stories complete the collection. 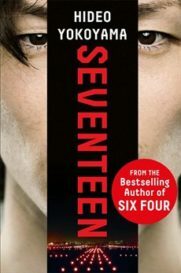 Fans of Japanese thrillers will excited to know that Hideo Yokoyama’s Seventeen, translated by Louise Heal Kawai, drops in February. Reporter Kazumasa Yuuki recalls covering an air disaster 17 years before, while dealing with unresolved consequences in the present. Expect fear, mystery and lashings of suspense. 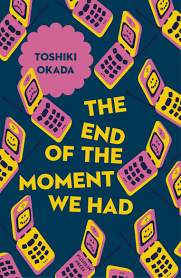 Pushkin’s other Japanese novella in 2018 is The End of the Moment We Had by Toshiki Okada, due in March. It is a stream-of-consciousness story about a highly-charged love affair set on the eve of the Iraq War. Okada’s way with language led to him winning the Oe Kenzaburo Prize for the title story and I can’t wait to see how his “hyper-colloquial” style translates into English. Ian Buruma, author of The Wages of Guilt, is publishing a memoir of his time in Tokyo in the 1970s called A Tokyo Romance. I usually steer well clear of newly-arrived-in-Japan memoirs for fear of getting bogged down in descriptions of chopsticks and clumsy attempts at turning latent Orientalism into bedpost notches, but Buruma is a writer I admire and the blurb talks of underground art movements, avant-garde theater and repeatedly uses the word “radical,” so I’ll give it a go. I love when Japanese writers slow things down and focus on the everyday in poetic detail and this sounds like it fits that mold exactly. Go by Kazuki Kaneshiro has been translated by Takami Nieda, bringing this story of racism in Japanese schools to English for the first time. The story centers around Sugihara, a boy of Korean heritage who keeps his background secret to avoid the inevitable bullying. When he falls in love with a Japanese girl and another Korean student is murdered, he’s caught on the prongs of a dilemma. Min Jin Lee’s Pachinko was one of my favorite books last year and this covers similar territory so I’ll definitely be checking it out. 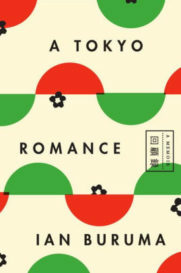 In April, Penguin Classics are bringing out Territory of Light, Yuko Tsushima’s 1979 story of a woman’s first year separated from her husband. Described by the publisher as “delicate” and “beautiful,” I’m certainly intrigued by this. I love when Japanese writers slow things down and focus on the everyday in poetic detail and this sounds like it fits that mold exactly. 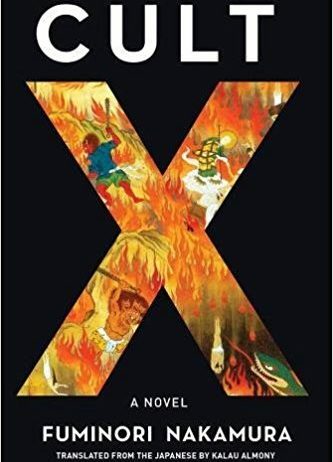 Soho Press are continuing their fantastic mission to translate Fuminori Nakamura’s entire catalogue into English with the May publication of Cult X — described as his magnum opus. As always with Nakamura, expect darkness, obsessive behavior and a cast of characters on the edge of society. Nakamura touched on Japan’s love-hate relationship with cults in Last Winter We Parted and here goes all in on this study of violence and extremism. To say I am excited about this translation would be a massive understatement. 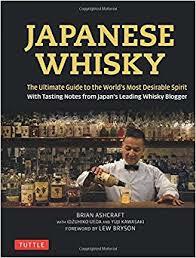 As a Scotsman, I couldn’t see in the new year without mentioning whisky, so it’s just as well that Tuttle is bringing out Brian Ashcraft’s Japanese Whisky: The Ultimate Guide to the World’s Most Desirable Spirit with Tasting Notes from Japan’s Leading Whisky Blogger. Bulky title aside, I share none of the snobbishness towards Japanese whisky that many of my compatriots hold and could do with an immersive guide to the finer end of the market, so this is guaranteed a spot on my coffee table or beside the liquor cabinet. 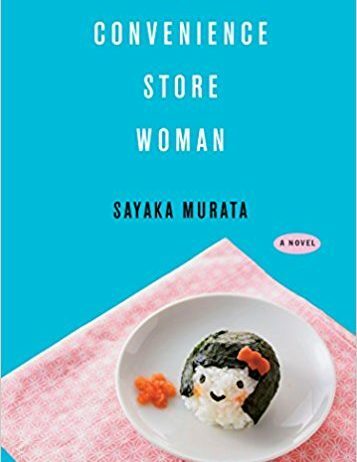 In June, Ginny Tapley Takamori’s translation of Sayaka Murata’s Convenience Store Woman will hit the shops. Keiko Furukawa has been working in the same convenience store for 18 years, feeling safe in the predictability of her routine until her comfort is disturbed by a new employee. The book won the Akutagawa Prize in 2016 and draws on Murata’s own experiences working in a convenience store that she presents as a microcosm of Japan’s conformist society. 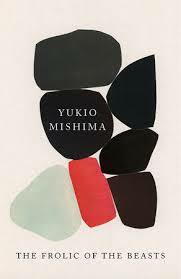 A previously unpublished short novel by Yukio Mishima is coming out in July. The Frolic of the Beasts is, in classic Mishima style, about a love triangle between a married couple and a young man and is described by the publisher as “a tale of psychological self-entrapment, seduction and murder.” Business as usual for Mishima, then, and any addition to my Mishima shelf is always welcome. 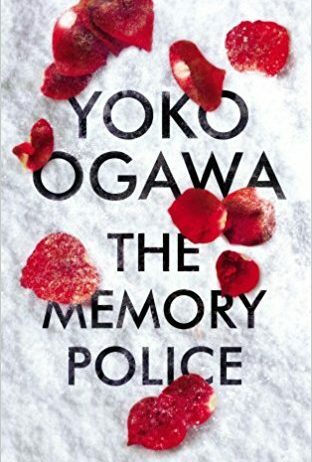 Bestseller Yoko Ogawa is back with The Memory Police in August, an Orwellian tale of erasure and the power of the past. Personally, I’ve never really got into Ogawa’s work but this speculative novel sounds right up my street so I’m going to give her another try. Keigo Higashino’s Newcomer is set for a November release. Detective Kaga is on the trail of the murderer of a woman in Nihonbashi but, as always with these things, there are multiple suspects and a plethora of unearthed secrets. Are there any new books (or translations) from Japan coming out this year that you’re looking forward to reading? Let us know in the comments! 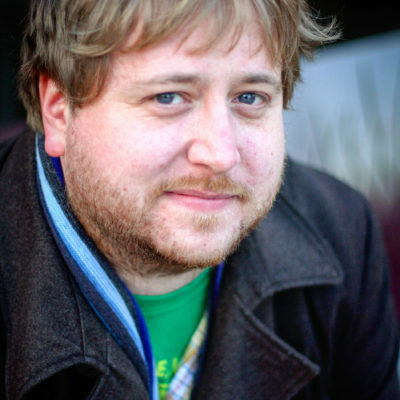 Gifu-based Scottish novelist, poet, journalist and editor. 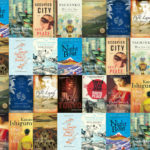 In Japan, the city of Tokyo seems to get all the attention as a setting in novels, but there are rich veins of fiction to mine if you're interested in stories set outside the megalopolis. Whether you're new to the subject or are looking for more detail on an era or topic, here are nine books to get your Japanese history on. 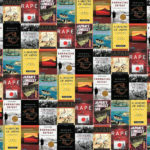 Japan has long been a place of fascination and inspiration for writers from around the world. Here are 14 favorites.